Women who worked out during pregnancy might be the most vulnerable because they felt good during their pregnancy. They feel strong after pregnancy. But, the problem is that their core and pelvic floor just went through a major trauma – even if they didn’t have a vaginal birth… They need to be reminded not to skip steps and that their core and PF need time to catch up. Pregnancy was essentially an injury to your body and you have to remember that we wouldn’t just put an athlete back into their normal training following an ACL repair. The would have months and months of rehab before we turn them loose. So, before diving back into your previous level of exercise, we need to ask ourselves – do I have any of the following? It is our job as health care providers to not only safely return you to the exercises you want to do, but also to rein you in if you are not ready to a full return yet. Low back pain, urinary incontinence, pelvic organ prolapses, and diastasis recti following pregnancy and delivery are common. They result from loss of strength due to connective tissue and center of mass changes that lead to altered, non-ideal movement patterns for load transfer through the abdomen. These changes cause excessive pressure in the abdominals and pelvic floor muscles. Pregnancy and delivery can also lead to damage to the connective tissue of the abdomen, pelvic floor muscles (tears, stretching) as a result of prolonged or repetitive small injuries or sudden larger injuries that are too much strain for your connective tissues in these areas. The changes that occurred in the abdominals, back, and pelvic muscles during pregnancy are individual, therefore, assessment and treatment needs to be customized. We cannot predict where someone will have pain or dysfunction, or how their body will create movement through their pelvic floor, abdominals, back, and how they will breath with their exercises. An example is, someone may be able to do a full plank after they have a baby but if their back is arching (overworking and not stabilizing the trunk with the abdominals) or there is a bulge between the two rectus abdominal muscles (“coning”), then they should not do that exercise. These are compensatory movement patterns meaning, that person cannot generate enough tension or strength to stabilize the torso and pelvis. So…what CAN I do? What does safe strengthening my body after baby look like? If you have low back or pelvic pain, urinary incontinence or have been told by a health care provider that you have a diastasis or a pelvic organ prolapse then seeing a physical therapist trained to screen and treat these issues will be the best starting point. 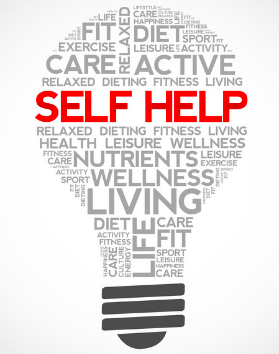 However, there are some things you can do to help answer this question yourself or decide when it is appropriate to seek help from a professional. There should be no urinary leakage. There should be no pelvic heaviness or feeling that “something is down there”. There should be no Valsalva or holding your breath. “Exhale as you exert” is a good way to remember how to correctly breathe with lifting. There should be no abdominal, back, or pelvic pain. You should able to hold correct posture with your ribcage stacked over your pelvis. Think of your pelvis as a bowl and your ribcage as an upside down bowl. These bowls should be “stacked” so that the diaphragm and pelvic floor can work in sync. Click here for a helpful article on this topic. Before any exercise or activity where you are straining or using your abdominals, contract the pelvic floor and pull in you lower abs to protect your pelvic floor muscles and back. 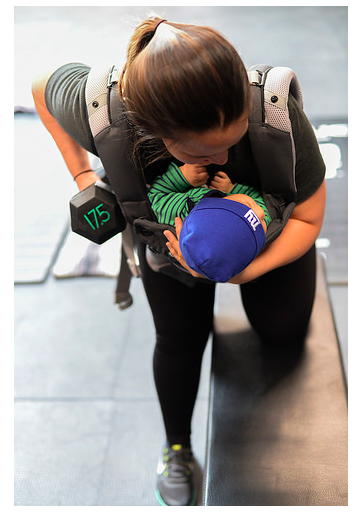 You can do this before any activity such as picking up your baby, coughing, or before doing a core exercise. If you notice any of these compensations with your exercises, or are experiencing any of these health problems we have discussed then stop that exercise, and see a physical therapist trained to assess abdominals, low back, and pelvic floor muscles. They will assess how you are moving and using your abdomen, low back, and pelvic muscles as well as breathing patterns. In particular, consider Flow Rehab or Arrow Physical Therapy. Some good online resources for you.